HP's earliest printers were impact printers. These included the full-character typewriter-style (later "daisy wheel") printers and the dot matrix printers whereby character images are created from a pattern of dots in a cell matrix (the more dots, the higher the resolution). Today's laser and inkjet printers are also "dot-matrix" printers; their character and graphics images are made in the same manner as the old impact dot matrix printers (but without the impact). As a group, the impact printers were probably most known for the amount of noise they made while operating. They were loud. Terms like "Buzz Saw" or "Hammers From Hell" were appropriately applied to these machines. Many impact printers included standard or optional sound enclosures. Even after the laser and inkjet printers came to dominate the market, impact printers lived on because they were inexpensive and reliable. 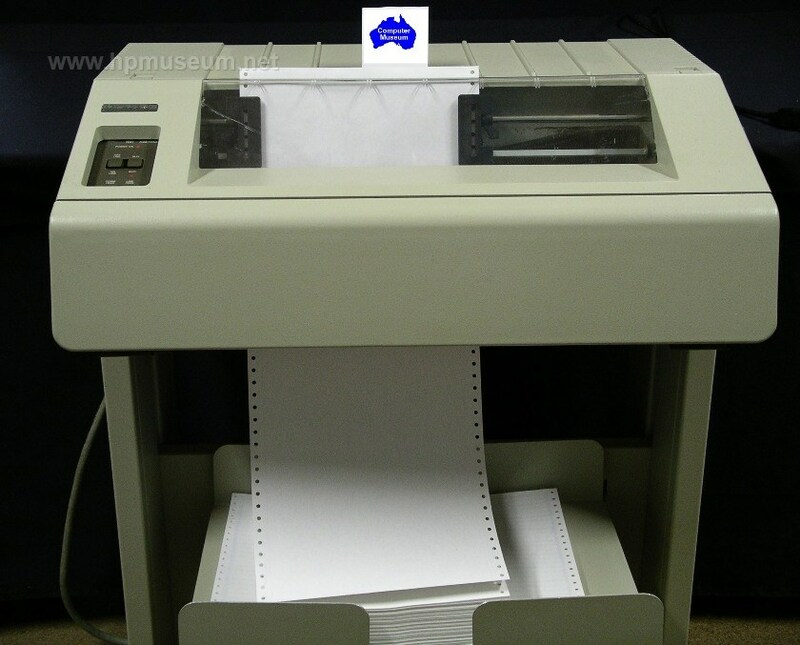 They were also cheaper to run than the more modern technology printers. The primary advantage that impact printers offer today is that they can print on multipart forms with a single pass. For the most part, the impact printers made by HP were connected to HP computers. HP impact printers did not enjoy the very high connect rates to third party computers that were achieved by its inkjet and laser printers as well as its pen plotters. Be sure to visit our Supplies and Consumables Catalogs for part numbers and information on all the media, cables and accessories available for these products.